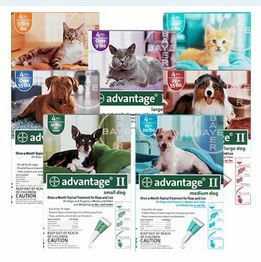 Did you know you can save money on flea treatment for your cats and small dogs by purchasing the largest size package of Advantage II (Extra Large Dog – over 55 lbs.) or Frontline Plus (89-132 lbs.) for dogs and using a portion of a tube at a time? You can also use plain Advantage and Frontline the same way but these products do not contain the second ingredient that the II and Plus versions have which is a growth regulator and I cannot stress how important this is in avoiding a flea infestation. 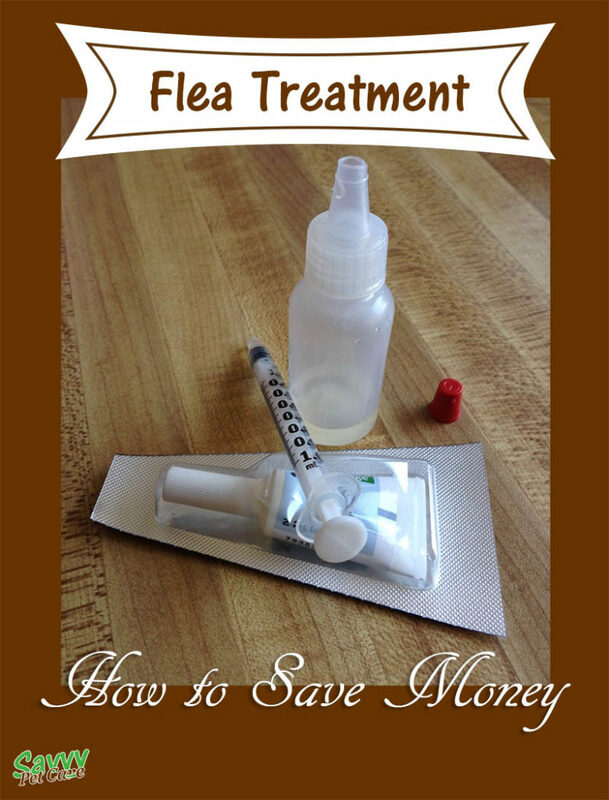 The plain versions of these products kill adult fleas but do not stop the eggs that fall to the floor or furniture from hatching and becoming adult, biting fleas. Yes, once back on your pet the adults die, but that doesn’t stop the cycle and an adult flea can lay up to 50 eggs per day! That’s where the growth regulator comes in. It interferes with the normal growth cycle of the fleas and prevents them from becoming mature adults. The drugs in Advantage II for Dogs and Advantage II for Cats are exactly the same drugs (Imidacloprid 9.1% and Pyriproxyfen 0.46%) at the exact same concentrations. Frontline Plus for cats contains 9.8% fipronil and 11.8% (S)-methoprene (and 78.4% inert ingredients). Frontline Plus for dogs contains 9.8% fipronil and 8.8% (S)-methoprene (and 81.4% inert ingredients). The amount of growth regulator in the dog version is LESS than in the cat version so certainly should be safe for your cat. Don’t use the cat version on your dog. Using the dog versions of Advantage and Frontline on cats is nothing new. You will find uninformed people on the internet saying don’t do it, but shelters and rescues have been doing it for years. That doesn’t in and of itself make it right, but it is vet approved, including by my vet. I have found the easiest way to portion out the product if you are treating multiple animals is to empty a tube into a small (1/2 oz.) bottle with a dropper tip. You can cut off the tip to accommodate a syringe and draw up the proper amount. I prefer to draw it out this way rather than wasting what sticks to the outside of the syringe if you just stick it down into the bottle. You can then just squeeze out the syringe onto your pet. I highly recommend using a syringe for accurate measurement–this is not something you want to eyeball! A second method, especially if you are treating only one or two pets, is to use a syringe with a needle and draw what you need directly from the tube. Remove the needle and apply to your pet.